I am a drummer of over 15 years with vast experience in live performance, studio recording and drum tutoring of all ages and abilities, including students with learning difficulties and disabilities. I have worked with a number of people on various musical projects, playing in originals bands and more recently function bands. Previously I have taught for East Sussex Music Service and I am currently taking on new students to teach from my home in Eastbourne or surrounding areas. Please contact me about picking up drum sticks for the first time or furthering your playing and music-reading ability. Anyone and everyone welcome! Ollie has gained a reputation for equal measures of sensitive accompaniment and deep grooves. Credits include… UNIVERSAL RECORDING ARTIST..David Jordan … Sun Goes Down, Love Song, BBC radio 2 young acoustic musician of the year finalists “All Jigged out” ALBUM plus Australian tourLaura holding, CITVs Stephen Mulhern. ,Joe Stilgoe, lianne carroll. The Producers uk tour, By Jeeves uk tour. Grease uk tour, Chess the musical, uk and Canada. the Drifters diamond dynasty tour, Happy days the musical tour. The songs of Sister Act tour(London community gospel choir, 80s soul diva Viola wills, 70s glam rocker Alvin Stardust, Joan Rivers uk tour 2012. Ollie Uses the Rockschool and Trinity/Guildhall Rock and Pop Exams. If you’d like to learn to play drums in the comfort of your own home, then contact Charlie Hockin and he will do his best to arrange a time that is convenient for you. Charlie has been for the last 8 years and still is teaching at the Bonners Music Superstore in Eastbourne (all the teachers there are fully CRB checked.) 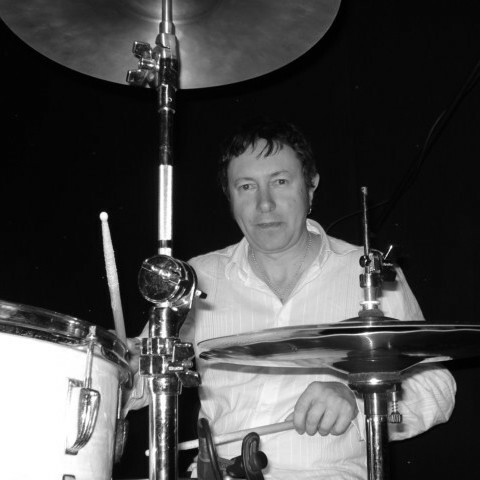 His speciality is catering for people who cannot or would rather not travel to a studio for drum lessons, but instead would prefer their tutor to visit them for home tuition. Charlie has a wealth of gigging experience around the world, playing many styles of music and has been teaching for 13 years. Charlie uses a variety of methods to coax the best out of his pupils according to their needs, including reading music, (a lot easier than most people think) and playing by ear along to backing tracks. For those pupils who wish to take their graded exams Charlie has plenty of experience working with the Trinity Guildhall and Rockschool graded books and has successfully guided some of his students through to merit and distinction passes. Charlie has a sense of humour, is good natured and easy going and will do his best to make learning to play the drums an enjoyable experience. When I left school I started working in a local record shop. This was soon ended by a pretty major motorcycle accident in which I smashed my leg up and ended up in hospital for about 18 months. During my recovery period I bought my first full drum kit and started practicing. Before long I had put my first band together with some of my friends. Since then I have been in several bands, (some more successful than others) played thousands of gigs, recorded 2 CD’s and continued to learn, improve and develop my drumming. I am currently enjoying playing in and around Eastbourne with a rock covers band, I make regular appearances at local jam nights and am frequently to be found watching local bands at live music gigs.